NEW DELHI: Johannesburg-based Dimension Data has appointed Kiran Bhagwanani as the Chief Executive Officer for Dimension Data South Asia, Japan and New Zealand, one of the three sub-regions in the Asia Pacific region. Bhagwanani will report to Dimension Data’s APAC CEO, John Lombard. He will be responsible for maintaining and growing Dimension Data’s business, client base and scaling outcome-driven offerings for the said countries. Before the current role, Bhagwanani was leading Dimension Data’s India business as it’s CEO since February 2011. Under his guidance and in line with his vision for Dimension Data India, Bhagwanani established a strong leadership team that has ensured that the Indian business has been amongst the fastest growing and most profitable businesses for Dimension Data. 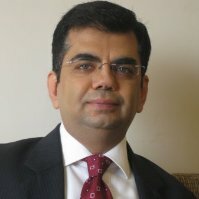 Prior to joining Dimension Data, he was the country head for HCL Technologies India and was also responsible for System Integration Sales worldwide. Now, as CEO of one of Dimension Data Asia Pacific’s sub-regions, Bhagwanani will have full accountability for the business success for India, Japan and New Zealand. He will be responsible for all strategic and operational matters related to the sub-region. He will also be responsible to build and harness the market opportunities driven by partnerships and alliances, and establish Dimension Data as the leader in the market for Hybrid IT services.